Mathieu Deflem: Carneiro, Robert L.
This is a copy of a paper published in Theory in Social and Cultural Anthropology: An Encyclopedia, edited by R. Jon McGee and Richard L. Warms. Sage Publications, 2103. Also downloadable as pdf file. Please cite as: Deflem, Mathieu. 2013. "Carneiro, Robert L." Pp. 104-106 in Theory in Social and Cultural Anthropology: An Encyclopedia, edited by R. Jon McGee and Richard L. Warms. Thousand Oaks, CA: Sage Publications. 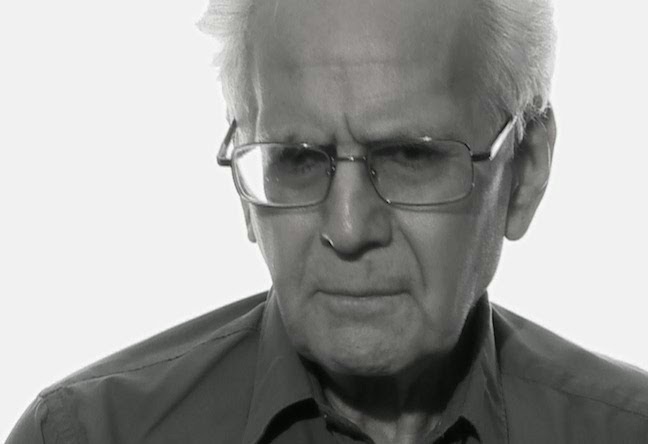 Robert Leonard Carneiro, an American anthropologist, is best known for his contributions to scientific theories of the state and evolutionary perspectives in anthropology. His theoretical writings are based on comparative-historical data covering extremely long periods of time and involving a multitude of societies from across the world and are additionally supported by his own fieldwork among the Kuikuru of Brazil, the Amahuaca of Peru, and the Yanomamö of Venezuela. Carneiro was born in New York City on June 4, 1927. He studied at the University of Michigan, where he received a B.A. in Political Science (1949) and an M.A. (1952) and Ph.D. in Anthropology (1957), the latter on the basis of a dissertation that offered an ecological study of the subsistence economy of the Kuikuru Indians. Carneiro completed his doctoral work under the supervision of the noted anthropologist Leslie White, whose evolutionary perspective greatly influenced Carneiro’s thinking. After a one-year stay at the University of Wisconsin, Carneiro moved to the American Museum of Natural History where has been employed as curator from 1957 onwards, presently serving as Curator Emeritus and Professor Emeritus of Anthropology. Carneiro has additionally taught as visiting and adjunct professor at various universities. In the realm of anthropological theory, Carneiro is best known for his innovative theory of the state and his defense of evolutionism in the anthropological study of culture. Carneiro’s theory of the state was first published in the journal Science in 1970 and has since been refined, though not substantially altered, in additional writings. The theory holds that warfare directed at the conquest of land will lead to the formation of states under condition of three material circumstances. First, the ecological condition of environmental circumscription has to be met so that the availability of agricultural land is confined. As additional land becomes unavailable to a growing collectivity because of environmental constraints (such as high mountains or broad waterways that cannot be traversed with available technologies), warfare will ensue in conquest of accessible land, which will bring about political subjugation of once autonomous groups. Thus, there occurs a gradual formation of ever-growing unified political communities, which eventually reach the level of large and highly centralized states. Second, warfare will bring about state-formation as resource concentration occurs, in which case the availability of food is restricted, again bringing about war and political subjugation. Third, social circumscription refers to the fact that population pressure, i.e., the density of a population relative to available land, can reach a point whereby warfare will ensue as a result of a quest for territorial expansion. States grow in size by unifying once autonomous smaller political communities until the point where they reach other large states, formed under similar conditions, and state borders among them are established. Carneiro’s interest in state formation is part of a more comprehensive interest in evolutionism and the need to develop a scientific theory of culture, especially to explain the development from relatively small-scale and autonomous communities (bands, villages) to more complex communities (such as chiefdoms) and large and highly differentiated societies (states, empires). Carneiro’s interests are thereby radically scientific in seeking to develop theories that can account for variation in evolutionary development by identifying relevant conditions in the social and natural environment. His interests are as such fundamentally oriented at developing a very general theory of culture. This ambition already formed the foundation of Carneiro’s theory of state formation as it seeks to account for the formation of states in the light of the observation that states of comparable degrees of complexity have evolved across the world at different periods of time. The development of complex systems of political formation, Carneiro argues to be of special relevance because the process mostly took place over the past 10,000 years after a period of some 2 million years of human existence when all social life was concentrated in autonomous bands and villages. Methodologically Carneiro attempts to uncover regularities in the evolution of culture by means of scaling the order in which certain traits of development have emerged over time, thereby relying on available archeological and ethnographic data. These traits can be of various kinds, such as political, economic, legal, and symbolic, developing at various points over long periods of historical time. Carneiro thereby defends a unilinear perspective of evolution that seeks to establish general patterns (laws) of cultural development. Formulating an explanation for uncovered patterns of cultural evolution, Carneiro holds on to the idea of causation and places central importance to non-voluntaristic theories of warfare and materialist causes, especially ecology and demography, while minimizing any influence of myth, ideology, and other systems of ideas. Developing his perspective of evolution, Carneiro has also contributed to theoretical discussions about other evolutionist perspectives of culture and society to highlight the variations, limitations, and strengths of various modes of evolutionary thinking. He has particularly contributed to the understanding and continued relevance of classical thinkers such as Herbert Spencer, Edward Tylor, and Lewis Morgan as well as modern scholars, most notably Leslie White as well as Elman Service and Marvin Harris. Carneiro’s discussions are not mere meta-theoretical excursions but form a necessary component to delineate his particular perspective of evolutionism and to defend evolutionist anthropology in general from currents in anthropological theorizing that seek to dispense with the need for a general theory, especially under influence of cultural relativism, historicism, and post-modernism. The work of Carneiro enjoys considerable influence in the field of anthropology and beyond. Despite having elicited criticisms and surely not being considered the one final chapter in theoretical work on state formation, Carneiro’s theory of the state is arguably the best-known and most influential theory of the state developed in the social sciences. Carneiro’s contributions to evolutionism in anthropology, which are generally of a more recent date, are as yet somewhat less known, though they can serve as an important antidote, among other perspectives, against the humanistic and anti-scientific currents that occasionally mark the discipline of anthropology. Carneiro, R. L. (1970). A theory of the origin of the state. Science, 169, 733–738. Carneiro, R. L. (2003). Evolutionism in cultural anthropology: A critical history. Boulder, CO: Westview Press. Carneiro, R. L. (2010). The evolution of the human mind: From supernaturalism to naturalism. An anthropological perspective. New York: Eliot Werner Publications. See related papers on comparative-historical research.